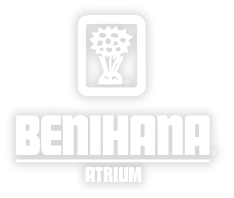 Avani Atrium | EASTER BRUNCH AT BENIHANA. Sit down for an Easter Sunday feast the whole family will eat up. Start with Japanese appies and an endless fresh seafood on ice. Pick your favourite main and watch it sizzle: Australian rib eye steak, Kurobuta pork cutlet, chicken breast or Norwegian salmon steak. Don’t forget the dessert table!